Should preferred stock funds, despite their lack of attention from Wall Street, academia, and the financial media, be preferred in mutual fund portfolios? To address this question, we construct mean–variance-efficient portfolios from U.S.-centric mutual funds that represent common stocks, Treasury bills, Treasury bonds, corporate bonds, real estate investment trusts, and preferred stocks to determine whether a preferred stock fund meets the standards for inclusion in mutual fund portfolios. We also conduct robustness checks on the results and perform out-of-sample tests on portfolio performance with and without the preferred fund. Overall, the evidence indicates that a preferred stock fund allocation in the range of 5%–15% can reduce portfolio risk while at least preserving portfolio return, providing a cushion for portfolio managers of balanced funds and for income-seeking investors. Few Wall Street firms follow preferred stock as an asset class, and objective references to it in the academic literature are not prevalent. For example, Sharpe , in a study of broad-based mutual funds, examined 12 asset classes, including U.S. Treasury securities, corporate bonds, large-cap stocks, small-cap stocks, and international securities, but preferred stock is neither included nor mentioned. Similarly, in his comprehensive analysis on valuing investments, Damodaran  devoted only three pages to preferred stock. The financial media have long followed this pattern. For example, the Association of Individual Investors, which publishes investor advisory newsletters and recommended asset allocation strategies, does not include preferred stock. Additionally, neither CNBC nor Bloomberg, two popular financial media outlets, takes more than passing interest in it. The views on whether preferred stock and preferred stock funds, particularly as income-generation sources, should be part of portfolios are often negative for reasons ranging from their lack of liquidity to their interest rate sensitivity (Crabbe ; Dow ; Li, McCann, and O’Neal ; Swedroe ; Burke ). Even when the views are positive (Zacks ), objective empirical assessments on whether preferred stock and preferred stock funds are worthy additions to portfolios are absent. Motivated by the work of Arshanapalli and Nelson  and Blanchett and Ratner , we provide such an assessment, one that we believe is timely for at least three reasons. First, preferred stock issuance has been rising since 2009 (Burne ) now that the Federal Reserve recognizes bank preferred shares as meeting Tier 1 capital requirements. Second, most newly issued bank preferred shares qualify for preferential tax status, effectively raising the after-tax rates of return on the dividend yield. Third, in the current record-low interest rate environment, investment-grade preferred stocks and preferred stock funds that concentrate on investment-grade preferred stock yields of over 5% can provide income-focused portfolio managers and income-seeking investors with opportunities to meet their respective objectives. This article appears to be the first to test the worthiness of preferred stock funds for mutual fund portfolios. By way of modern portfolio theory (MPT), the analysis is based on the model of Black and Litterman  with respect to two different sets of mutual funds: a balanced portfolio consisting of a blend of equity and fixed-income funds and an equity portfolio consisting of a set of broad-based domestic and global funds. Across the bear and bull markets of the 21st century, the results indicate that the inclusion of a preferred stock fund, with a suggested allocation in the range of 5%–15%, reduces portfolio risks while preserving portfolio returns, a fundamental MPT principle. The return–risk attributes of preferred stock funds are not satisfactory for inclusion in mutual fund portfolios. The analysis includes two distinct sets of tests. First, MPT is applied within the Black–Litterman framework, one including all funds except the preferred stock fund and one with the preferred fund. This provides an assessment of the impact of the preferred stock fund on a mean–variance-efficient mutual fund portfolio. Here, we find evidence consistent with the theory that preferred stock funds have risk–return attributes favorable for inclusion in such a portfolio. Robustness checks affirm the results. Second, along with robustness checks on the results, a series of annual out-of-sample tests provides insight into how well the portfolios perform with and without the preferred stock fund. Although preferred stock funds might well be part of a mean–variance-efficient mutual fund portfolio in an ex ante sense, it is unclear whether their performance merits inclusion in portfolios. Overall, the test results align with the principle of return preservation and risk reduction. From an investment perspective, the literature on preferred stock and preferred stock funds is not nearly as deep or as extensive as the literature on common stock and fixed-income securities. In an early study, Bildersee  considered the return and risk characteristics of preferred stock by estimating the standard one-factor model. Emanuel  constructed a theoretical model of preferred stock anchored on the assumption that preferred stock dividends are omitted if a firm’s value falls below a critical level. Crabbe  asserted that preferred stock trades more like a bond than common stock and carries a higher default risk than a bond, making preferred stock a questionable inclusion in a portfolio. Li, McCann, and O’Neal  extended Crabbe’s assertions, stating that preferred stock offers bond-like returns but without the capital appreciation potential of common stock. Boudry, deRoos, and Ukhov  applied MPT to data from 1992 through 2012 and showed that REIT preferred stock offers risk-reduction benefits that are valuable to highly risk-averse investors. It is possible to come away from a standard textbook discussion of portfolio optimization with the impression that a fixed set of mechanical optimization rules, combined with a bit of knowledge about personal preferences, suffices to define an investor’s optimal portfolio. Anyone who has tried to implement portfolio optimization using market data knows that the dream is often a nightmare. His comments come from the often-unintuitive and highly concentrated portfolios that can result from applications of MPT, resulting from the sensitivity of changes in inputs, in which small changes can lead to widely different portfolio compositions. The Black–Litterman model overcomes the inherent problems that Benninga points out, especially regarding expected returns. As Idzorek [2005, 2011] explained, it begins with the classic one-factor capital asset pricing model (CAPM) (Sharpe ) and includes reverse optimization, in which expected returns on securities are inferred from the risks, correlations, weights, and the expected portfolio return (Sharpe ). As Lee  showed, the model reduces the forecast errors that often lead to the results observed by Benninga. where Π is the implied excess equilibrium return vector (N × 1 column vector); λ is the risk aversion coefficient, which incorporates the expected return–risk trade-off; Σ is the covariance matrix of excess returns (N × N matrix); and wm is the market-capitalization weight (N × 1 column vector) of the assets. The risk-aversion coefficient (λ) is the rate at which an investor will accept less expected return for less risk, or variance. In the case of reverse optimization, the coefficient scales the estimates of excess returns. As in the classic return–risk trade-off, the greater the excess return desired per unit of risk taken, the higher λ will be. The result is the equilibrium vector of returns. It is an unbiased starting point for the Black–Litterman model, as succinctly outlined by Idzorek [2005, 2011]. where E[R] is the new (posterior) combined return (N × 1) vector; τ is a scalar;Σis the variance-covariance (N × N) matrix of excess returns; P is a (M × N) matrix that identifies the assets involved in the views;Ωis a (K × K) diagonal covariance matrix of error terms from the expressed views, representing the uncertainty in each view (K × K matrix); 㪐 is the implied equilibrium return vector (N × 1 column vector); and Q is the (K × 1) vector of the investor’s views on the securities as opposed to what the implied returns indicate. The focus of this research is passive investing, or the use of index mutual funds as opposed to actively managed funds. This focus allows us to provide a baseline assessment, one that does not rely on having to select the best funds. The period studied is from December 31, 1999, to December 31, 2014, one that offers an opportunity to test the efficacy of preferred stock funds during two bear markets and two bull markets. The choice of funds is designed to capture the essence of Malkiel’s  asset selection recommendation of bonds, common stocks, and real estate. For perspective, two sets of portfolios are constructed to determine the efficacy of preferred stock funds. The first, and the main portfolio of interest in this study in line with Malkiel’s recommendation, consists of equity funds, fixed-income funds, and a REIT fund and is referred to as a balanced approach. The second consists only of equity funds and a REIT fund. The balanced approach uses funds representing the S&P 500, large-cap stocks, small-cap stocks, global stocks, U.S. Treasury bills, U.S. Treasury bonds, U.S. corporate bonds, and REITs. The equity approach omits the three fixed-income funds. Although the Black–Litterman model allows for user views on the expected return on each asset in a portfolio, the portfolios constructed in this study only go as far as the implied equilibrium expected returns (as the neutral starting point) and the portfolio weights through the reverse optimization process (Hoadley ). The portfolios do not incorporate, for example, analyst forecasts on any of the funds used in this study, nor do they reflect perceived investor sentiments. For each year, two portfolios are constructed and tested, one that omits the preferred fund and one that includes it. In all cases, to keep the analysis as realistic as possible, we use monthly closing net asset values to arrive at the rates of return used to construct the portfolios. Because a preferred stock index with at least decade-long data does not exist, the earliest being the S&P U.S. Preferred Stock Index, which has an inception year of 2013, we construct the preferred stock index fund from the average net asset values of five well-established closed-end preferred stock funds. Each dates back to no later than 2003. Exhibit 1 displays the funds used in this study. The five preferred funds represent a well-established and stable group that provides a clean set of results for the 15 years under study. The construction of the preferred stock fund begins with return data on the Flaherty and Crumrine Preferred Income Fund in January 2000.1 The return data on the other four funds are blended into the returns on the Flaherty and Crumwine Preferred Income Fund beginning in the month of each fund’s inception year. The five funds are equally weighted. The portfolio testing period is annual from 2000 through 2014 and uses out-of-sample rates of return. The two bear markets run from March 2000 through October 2002 and from October 2007 through March 2009. The two bull markets cover from November 2002 through October 2007 and from April 2009 through December 2014. In each instance, the rates of return on the S&P 500 fluctuated by at least 20%, providing the opportunity to test the impact of preferred stock funds across major market changes. The data come from a variety of sources, including Wilshire & Associates, Fidelity Investments, Bloomberg, and Yahoo Finance. To arrive at the implied equilibrium vector of returns, we use the standard of five years of historical monthly data (Markowitz and Xu ; Elton, Gruber, and Green ). Thus, the portfolios for 2000 are constructed from the monthly returns from January 1995 through December 1999, the portfolios for 2001 come from the monthly returns from January 1996 through December 2000, and so on for every five-year period through December 2013, which incorporates the returns for the portfolios for 2014.
where Rj is the rate return on fund i; Rm is the rate of return on the market; Rf is the risk-free rate of return; βi is the beta of fund i; and αi is the alpha of fund i. Aligned with the five-year periods, the betas for the 2000 portfolio are based on the returns from January 1995 through December 1999. For the 2001 portfolio, the returns are from January 1996 through December 2001, and so on for each successive five-year period. The estimation of the betas follows Hendricks  and Choudhry  by using a value-at-risk decay factor of 0.97. As expected from the eightfold jump in the S&P 500 VIX between December 2006 and November 2008, which includes part of the financial crisis of 2008–2009, the precrisis and postcrisis betas (e.g., 2003–2007 and 2010–2014) are less than 1 and as low as 0.21 on the preferred stock fund. The betas that include the crisis period exceed 1 and are as high as 1.48 on the preferred stock fund. Exhibit 2 presents the monthly geometric mean and the standard deviation for each fund across all years, 2000–2014. In terms of the salient results, the REIT fund shows the highest geometric mean return at 0.99% per month but also the highest standard deviation, at 6.45%, with a monthly maximum of 31.31% and a monthly minimum of −31.23%, both of which reflect the impact of the financial crisis of 2008–2009 (with the bottom occurring in October 2008 and the high in April 2009). At 0.81%, the preferred stock fund (PREFER) has the second-highest geometric mean return but with a standard deviation of 4.96%, much lower than that of the REIT fund. As a result, its maximum–minimum range is smaller than that of the REIT fund, 12.50% and −21.81% (with the bottom occurring in September 2008 and the high in May 2009, respectively), indicating lower risk. This is early evidence that the inclusion of the preferred stock fund can at least reduce portfolio risk. As expected from the term structure of interest, the U.S. Treasury bond fund (TBOND) has a mean return more than double that of the short-term Treasury fund (TBILL), or 0.65% to 0.30%, but with a standard deviation that is more than five times higher, or 3.05% to 0.55%. Other results are as expected, such as a higher mean and a higher standard deviation of the small-cap fund (SMALL) compared to the large-cap fund (LARGE) and the S&P 500 (SP 500). As well, the mean return and standard deviation of the global equity fund (GLOBAL) are both higher than the global balanced fund (BALANCE). In the spirit of a 60%–40% asset allocation between stock and fixed-income securities, as found, for example, in the well-known Lipper Balanced Fund, Exhibit 3 presents the composition of the balanced portfolios for 2000–2014 for funds that track the following indexes: S&P 500 (SP 500), large-cap stocks (LARGE), small-cap stocks (SMALL), global equity (GLOBAL), U.S. Treasury bills (TBILLS), U.S. Treasury bonds (TBONDS), U.S. corporate bonds (CBONDS), REITs, and preferred stocks (PREFER). The maximum weight assigned to each equity fund is 15%, which means that the total common stock allocation is constrained to 60%. The fixed-income funds are constrained to 10%, and the REIT fund and preferred fund are limited to 15% each. The first row of each year displays the results for all funds except the preferred fund; the second row shows the impact of adding the preferred fund. This approach allows an assessment of whether the preferred stock fund has the return–risk attributes to be included in the balanced portfolios. As seen in the first row of each year, the allocation is remarkably stable and consistent for the funds representing the S&P 500, the small-cap fund, the global stock fund, and the fixed-income funds of U.S. Treasury bills and U.S. corporate bonds. Each is allocated the maximum constrained weight of either 15% or 10%, respectively. From 2000 through 2003, only the large-cap fund and the REIT fund show variation from their maximum-possible weights of 15% each. For 2001, for example, the large-cap fund is allocated a weight of 13%, whereas the REIT fund receives 12%. For 2002, the respective trade-off is the reverse at 12% and 13%. In 2003, the large-cap fund is weighted at 10%, whereas the REIT fund maintains its 15% maximum weight. From 2004 through 2013, the respective weights for the four stock funds are 15% each, the fixed-income funds are weighted at 10% each, and the REIT fund is weighted at 10% until 2014, when it is allocated a weight of 15%. In line with Malkiel , these results support an asset allocation of bonds, common stocks, and real estate. The second row of each year assesses the impact of the preferred stock fund. Its inclusion reduces the allocation to the large-cap fund and the REIT fund. For 2000, for example, the preferred stock fund receives the maximum allocation of 15%, while the large-cap fund is weighted at 8% and the REIT fund is allocated 2%. As revealed in the results without the preferred fund, this impact pattern continues through 2004, as the large-cap fund is allocated a weight of 8% while the REIT fund and the preferred fund show 10% and 7%, respectively. Beginning in 2005, the large-cap fund is allocated the maximum weight of 15%, as are all the other equity funds, a pattern that continues through 2014. As a result, the impact of the preferred stock fund is exclusively seen in the allocation to the REIT fund. For example, for 2005, the REIT fund and the preferred stock fund are both weighted at 5%. Beginning in 2008, we find the preferred stock fund’s weight exceeds that of the REIT fund’s weight through 2014. It rises from 4% in 2007 to 15% from 2009 through 2011, declines to 8% in 2012, and rises back to 15% in 2013 and 2014. During this period, no doubt due to the collapse in residential and commercial real estate values in 2008 and 2009, the REIT fund is allocated a weight of 0% in 2009 through 2011, eventually rising to 6% by 2014. To this point, these results suggest that preferred stock funds have a larger role to play in portfolios than what is commonly believed. Exhibit 4 displays the construction of the mean–variance-efficient equity fund portfolios for each of the respective years, 2000–2014. Because the maximum number of funds that comprise a portfolio is now six, the maximum weight is set to 25% for each fund except for the preferred fund, which retains its 15% maximum weight due to its bond-like characteristics. The first row for each year of results includes the funds that represent the S&P 500 (SP 500), the large-cap fund (LARGE), the small-cap fund (SMALL), the global equities (GLOBAL), and the REIT. The second row includes all of these funds plus the preferred stock fund (PREFER). Thus, we can test whether the preferred stock fund has the return–risk attributes to be included in equity mutual fund portfolios. For 2000, the large-cap fund is assigned a weight of 10%, with the remaining 15% being allocated to the REIT fund. This pattern continues through 2004, with the large-cap fund falling to a low weight of 5% in 2003 as the REIT fund reaches a weight of 20%. From 2005 through 2014, the large-cap fund is weighted at 25%, while the small-cap fund shows a variation in weighting from 5% in 2006 to 25% from 2009 through 2011 before declining to 17% for 2013 and 18% for 2014. The REIT fund registers a double-digit weight from 2000 through 2007, reaching a maximum of 25% in 2006 before dropping to 3% in 2008 and 0% in 2009 through 2012, reflecting the impact of the financial crisis of 2008–2009, in which the return–risk attributes of REITs were inferior to those of stocks, as implied by the minimum value of −31.23% displayed in Exhibit 1. The weights eventually rise to 8% and 7%, respectively, for 2013 and 2014, as the effects of the financial crisis diminish. Moving to the second row of each year of results, we find that the major impact of including the preferred stock fund is on the large-cap fund and the REIT fund. For example, for 2000, the preferred stock fund is allocated the maximum weight of 15%, whereas the large-cap fund receives a weight of 4% and the REIT fund’s weight is 10%. For 2001, the preferred stock fund again receives the maximum weight, but the large-cap fund receives a weight of only 5%, eight percentage points below the 13% it receives when the preferred stock fund is omitted. For 2002 and 2003, the large-cap fund receives an allocation of 5% and 4%, respectively. The REIT fund receives a 6% allocation, and the preferred stock fund receives 14% and 15%, respectively. For 2004, the large-cap fund is weighted at 10% as the REIT and preferred stock funds are allocated weights of 4% and 11%, respectively. In 2005, the small-cap fund’s weight drops to 12% and fluctuates between 7% and 25% through 2014. The weight allocated to the REIT fund increases to 11% by 2006, as the weight assigned to the preferred stock fund falls to 5%. From 2008 through 2012, the impact of the financial crisis is felt as the REIT fund’s allocation falls to 1% in 2008 and 2009 and to 0% through 2012 before rising to 3% by 2013 and 2014. For 2013 and 2014, the preferred stock fund’s allocation increases to 15%. As additional perspectives, Exhibits 5, 6, and 7 provide a look at the efficient frontier of three balanced portfolios for the period 2009–2014. Exhibit 5 shows the efficient frontier without the weight constraints imposed in Exhibit 3; that is, any of the mutual funds can be weighted up to 100%. The actual portfolio, which is derived from the reverse optimization process expressed for the Black–Litterman model, is indicated by the diamond-shaped mark. It differs from the tangency point on the efficient frontier by having a return that is 20 basis points lower than the optimal portfolio, or 6.64% versus 6.84% with a slightly higher volatility of 6.06% versus 6.00%. All told, the actual portfolio is a good approximation for the optimal portfolio. Notes: The efficient frontier without weight constraints (i.e., any of the nine mutual funds can be weighted up to 100%) based on five years of monthly returns from January 2009 to December 2014. The optimal portfolio has a return of 6.84% and a volatility of 6.00%. The actual portfolio has a return of 6.64% with a volatility of 6.06%. Notes: The efficient frontier with the assigned weight constraints without the preferred stock fund for the period of January 2009 through December 2014: equity funds, 15%; fixed-income funds, 10%; and the REIT, 15%. The optimal portfolio has a return of 7.28% and a volatility of 0.81%. The actual portfolio has return of 7.49% with a volatility of 9.09%. Notes: The efficient frontier with the assigned weight constraints and with the preferred stock fund: equity funds, 15%; fixed-income funds, 10%; and REIT and preferred stock fund, 15% each. The optimal portfolio has a return of 7.10% and a volatility of 8.13%. The actual portfolio has a return of 7.04% and a volatility of 8.10%. By comparison, Exhibit 6 provides a look at the efficient frontier with the assigned weights for all funds except the preferred stock fund. Here, we find the classic case of higher return for higher risk, with 7.44% return for the actual portfolio versus 7.28% for the optimal portfolio and a volatility of 9.09% for the actual portfolio compared to 8.81% for the optimal portfolio. 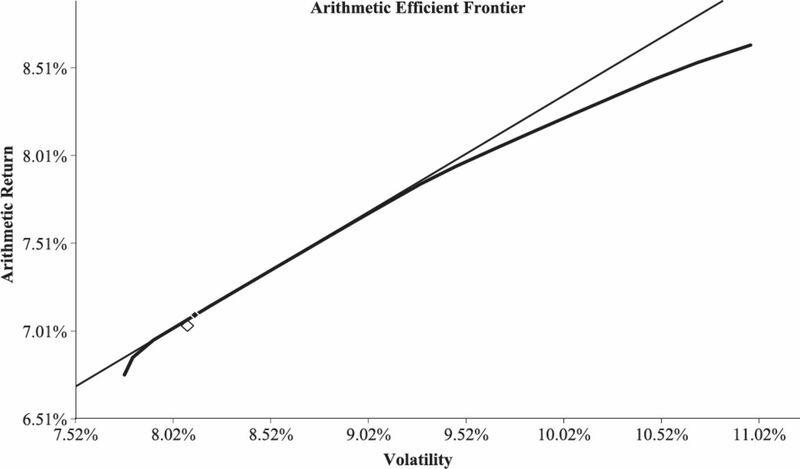 The portfolio is positioned right next to the efficient frontier, approximating an optimal allocation in terms of higher return compensating the higher risk. Exhibit 7 differs from Exhibit 6 by the addition of the preferred stock fund. The actual portfolio sits on the efficient frontier right below the optimal portfolio, indicating that the addition of the preferred stock fund to the other funds moves the actual portfolio to a near-optimal allocation. Although the return of 7.04% is slightly less than the 7.10% for the optimal portfolio, the volatility is slightly less, too, which once again portrays the classic return–risk trade-off. At this stage of the analysis, whether shown in Exhibits 3 and 4 or in Exhibit 7, the evidence suggests that preferred stock funds could be part of mutual fund portfolios as drawn from the application of the Black–Litterman model to the funds that make up the balanced portfolios and the funds that comprise the equity portfolios. For the balanced portfolios, the range of weights allocated to the preferred stock fund is 4% to 15%, with an average of approximately 10%. For the equity portfolios, the range is 5% to 15%, with an average of approximately 9%. Moreover, unlike with the REIT fund, the preferred stock fund is allocated a weight for each year. All things considered, the evidence so far points to a rejection of the hypothesis that preferred stock funds do not have favorable return–risk attributes for inclusion in mutual fund portfolios. Before drawing a more definitive conclusion, however, we need to test the performance of each portfolio, to which we now turn. Exhibit 8 shows the results of the annual rates of return on the balanced and equity portfolios with and without the preferred stock fund. It also includes the standard Sharpe, Treynor, and Sortino portfolio performance metrics. Because the portfolios are constructed from five years of historical monthly data prior to each year (e.g., the 2000 portfolio is constructed from data that run from December of 1994 through December of 1999, and the 2001 portfolio is based on data from December of 1995 through December of 2000), the results are out-of-sample. For the entire period, the balanced portfolios without the preferred stock fund generate an annual (geometric) mean return of 7.92%, which is almost exactly the same as the 7.93% for the portfolios with the preferred fund. Additionally, the standard deviation and beta are higher for the portfolios without the preferred stock fund, or 12.26% versus 11.99% and 0.88 versus 0.83, indicating that the inclusion of the preferred stock fund does not increase the portfolio returns so much as reduce the portfolio risks. In line with these results, the respective average Sharpe ratios are 0.47 and 0.49. The respective Treynor ratios are 9.00 and 9.55. The Sortino ratios, which account only for downside risk, or bad volatility, are 0.81 and 0.83, respectively. The results for the equity portfolios are stronger. The mean return is 7.31% for the portfolios without the preferred stock fund and 7.49% for the portfolios with the fund. The standard deviation, however, is 10% lower for the portfolios with the preferred fund, with a portfolio beta that is 11% lower, each leading to higher Sharpe, Treynor, and Sortino ratios. Taken together, these two sets of results are consistent with those of Boudry, deRoos, and Ukhov  and indicate a role for preferred stock funds in mutual fund portfolios. They can also help cushion the impact of extreme events in financial markets, which can move investors to underweight equities in their retirement portfolios, as Arshanapalli and Nelson  compellingly demonstrated. To test for significance in the portfolio performance metrics within the context of a small sample size (15, or from 2000 through 2014), Corder and Forman  recommend the Wilcoxon signed-rank test. Kolodny, Laurence, and Ghosh  and Loviscek  do likewise in their respective studies of portfolio performance, and Higgins and Peterson  recommend use of the statistic in studies such as this one. With respect to the Sharpe portfolio performance metric for the balanced portfolios, the mean difference per year is 5.49. With a standard deviation of 17.61%, the Z statistic is −1.39 and the Wilcoxon statistic (W) is 36. With the critical W statistic at 37, we can reject the null hypothesis that preferred stock funds do not significantly reduce risk at the 10% level. For the equity-only portfolios, the mean difference is 7.93 per year, and the W statistic is 23. With a critical W statistic at 30 and the corresponding Z statistic at −2.10, we can reject the null hypothesis of no risk reduction at the 5% level. The Treynor measures lead approximately to the same numbers (e.g., a mean difference of 7.91 and a Z statistic of −1.93 for the equity-only portfolios) and therefore to the same conclusions. The Sortino measure for the balanced portfolios is not statistically significant at either the 5% or 10% level, but with a W statistic at 36 and a corresponding Z statistic at −1.39, it is significant for the equity-only portfolios at the 10% level. Taken together, the results indicate that the inclusion of the preferred stock fund helps to preserve return while modestly reducing risk, a fundamental MPT principle. Guided by Idzorek  and Glawischnig , with a focus on estimating the implied betas, the results from robustness checks affirm the results in Exhibits 3 and 4. At the outset, and as mentioned previously, a preferred stock index fund is the ideal choice, but the inception date of such a fund is post-2010, which is too late to provide meaningful results. Thus, given data constraints, we use the Flaherty and Crumrine Preferred Income Fund and the Nuveen Quality Preferred Income Fund, both of which are used to arrive at the results in the exhibits. Also included are four funds that are not used to generate the results in the exhibits: Nuveen Preferred Securities Fund A, iShares Preferred Stock ETF, Powershares Preferred Stock ETF, and SPDR Wells Fargo Preferred Stock ETF. The funds are well established and provide opportunities to test the efficacy of the preferred stock funds for 54 different estimations from 2000 through 2014. Each preferred fund is included as it comes into its inception year. In each case, the funds that make up the preferred stock fund are equally weighted. The estimations are split evenly between the balanced portfolios and the equity portfolios. For the balanced approach, the weighting range follows that used in Exhibit 3, with the preferred fund set at 0%–15%. The estimated implied betas follow the patterns found for the regression betas; namely, prefinancial crisis and postfinancial crisis periods have betas smaller than 1, whereas betas that include the crisis exceed 1. For the preferred funds, they fall in the range from 0.20 to 1.40. Of the 27 estimations, the results are similar to those in Exhibit 3. For example, the equity and fixed-income funds receive the maximum assigned weights, and the recommended weighting range of 5%–15% holds for the preferred stock fund in 24 of the 27 estimations, or 89%. In two instances, the weights are 4%, as also seen in Exhibit 3, and in one instance the weight is 3%. Similar findings hold for the equity portfolios. The preferred fund betas range from 0.20 to 1.60. The weighting range for the preferred fund is set at 0%–15%, which holds in 23 of the 27 tests, or 85%. As additonal checks, the substitution of the Vanguard Total Market index, which tracks the Wilshire 5000, for the S&P 500, large-cap, and small-cap indexes still leads to the preferred stock fund receiving a weight in the 5%–15% range. The same range holds when the decay factor in the beta estimation is set to 1. Moreover, the omission of the REIT fund increases the weight for the preferred stock fund to as high as 25%, the maximum weight constraint. Even an increase in the maximum allowable weights for the equity funds still leads to an allocation of up to 20% for the preferred stock fund. Furthermore, changes to the preferred stock fund, even including only a single fund, such as the Flaherty and Crumrine Preferred Income Fund, do not materially affect the results. Thus, the outcomes are not particularly sensitive to changes in weights and portfolio compositions. The same is true for the standard deviations and betas reported. Across estimation periods, the results align with the findings in Exhibits 3 and 4. The results in the exhibits and the findings from the robustness checks suggest a rejection of the hypothesis under study—namely, that preferred stock funds do not have the return–risk attributes necessary for inclusion in mutual fund portfolios. The evidence also stands in contrast to the negative view of preferred stocks expressed by some security analysts and some members of the financial media. The tax implications of the composition of preferred stock mutual funds are significant. To begin, as of mid-2015, the average dividend yield on preferred stocks was 6.8%. By comparison, the dividend yield on the S&P 500 was 1.9%, and the respective dividend yields on Vanguard’s high-yield preferred stock fund, its dividend-yielding utility fund, and, for purposes of this study, its REIT fund were 3.1%, 3.6%, and 4.0%, respectively. For income-objective investors, these differences are large, especially when viewed from a tax perspective. Of the approximately 450 U.S. preferred stocks actively traded on U.S. exchanges, over 260, or more than half, are considered qualified for special federal income-tax treatment when invested in mutual funds, the same treatment that applies to the dividends paid on common equities. The qualified rate for most individuals ranges from 0% to 15% (20% for individuals in the 39.6% tax bracket). With the average yield on qualified preferred equities at 6.5%, the federal after-tax yield on qualified preferred stock is over 5.5%, which is more than triple the after-tax dividend yield on the S&P 500, more than double that on Vanguard’s high-yield mutual fund, and 80% greater than the after-tax yield on the utility mutual fund. With respect to REITs, because their dividends are taxed as ordinary income, an investor in the 30% tax bracket, for example, would realize an after-tax yield of 2.8%, which implies that the tax-equivalent yield on a REIT fund would have to be 7.9% to equate to the 5.5% after-tax yield on a qualified preferred stock fund. For wealth management purposes, these after-tax yields do not come without a price. The bond-like characteristics of preferred stock mutual funds lead to at least two costs compared to their common counterparts. First, unlike with common stock mutual funds, preferred stock funds do not have expected capital gains potential. Any expected gain is derived only through dividend generation. Second, preferred stock funds are more sensitive to changes in interest rates than are common stock funds. This is because the long-term status embedded in most preferred securities leads to their future cash flows being discounted at higher rates than those found on common stocks. As a result, the volatility of preferred equities significantly depends on the volatility of interest rates. This attribute is consistent with the results found in Exhibit 2. From 2000 through 2014, a time of significant interest rate fluctuations, the preferred stock fund registers a somewhat higher volatility than does the common stock fund, 4.96% versus 4.41%. From the end of the financial crisis to mid-2015, however, the monthly standard deviation of preferred stocks is 14% lower than that on common stocks, as measured by the S&P 500, largely due to the record-low interest rate environment that has held firm since the end of the financial crisis. Based on the results found here, the inclusion of preferred stock funds is unlikely to harm a portfolio, contrary to the negative assessment given to them by some analysts and some members of the financial media. For the period studied here—one characterized by bullish and bearish cycles, especially the financial crisis of 2008–2009—the inclusion of the preferred stock fund helps to preserve return while reducing risk. This finding should appeal to income-objective portfolio managers and investors, especially retirees. It may also be attractive to managers of and investors in balanced funds as well as growth-and-income portfolios. Although return–risk preferences and income needs influence the allocation, the findings suggest a range of 5%–15% in a broad-based preferred stock mutual fund. As an additional observation, the annual rate of return on the S&P 500 (including dividends) from January of 2000 through December of 2009—a period that the financial media has called the lost decade for stock investors—is approximately −1%. For the same period, the preferred stock fund registers an increase of 8.5%. For the period 2000 through 2014, the Vanguard 500 fund increased annually by 4.2% whereas the preferred stock fund increased by 10.2%. These observations further support the conclusion that preferred stock funds can play a stronger role in the composition of mutual fund portfolios than is commonly perceived. Should preferred stock funds be a part of mutual fund portfolios? With reference to selected passive mutual funds, the hypothesis tested is that preferred stock funds do not possess the return–risk attributes that qualify them for mutual fund portfolios. Using the Black–Litterman model, we applied the MPT to two sets of U.S.-centric funds, a balanced group consisting of equities and fixed-income securities and an all-equity group. The period covers 2000 through 2014, a time of both bullish and bearish activity across financial markets. The funds represent common stock, Treasury bills, Treasury bonds, corporate bonds, REITs, and preferred stocks. We also performed robustness checks on the results and conducted annual out-of-sample tests on portfolio performance. For both the balanced and equity fund groups, in terms of returns and standard portfolio performance metrics, the results suggest that preferred stock funds can help reduce risk while preserving return, a standard MPT principle, leading to a rejection of the hypothesis. Based on the period of study, a preferred stock fund allocation in the range of 5%–15% can be a worthy addition to a mutual fund portfolio, providing a cushion for portfolio managers of balanced funds and for income-seeking investors. The author thanks two anonymous referees for substantive suggestions and recommendations and extends special thanks to the editor, Jean L.P. Brunel, CFA, for his patience and understanding. He also thanks participants at the meeting of the Academy of Finance in Chicago, Illinois, which was held on March 25–27, 2015, for comments, questions, and suggestions on the original draft. ↵ 1The Flaherty and Crumrine Preferred Income Fund dates back to 1992. All the other funds have later starting dates, beginning in 2002. “Asset Allocation Options for Wealth Accumulation.” The Journal of Wealth Management , Vol. 14, No. 4 (2012), pp. 22-27. Financial Modeling . 3rd ed. Cambridge, MA: MIT Press, 2008. “Some Aspects of the Performance of Non-Convertible Preferred Stocks.” The Journal of Finance , Vol. 28, No. 5 (1973), pp. 1187-1201. “Global Portfolio Optimization.” Financial Analysts Journal , Vol. 48, No. 5 (1992), pp. 28-43. “Efficient Income Investing.” The Journal of Portfolio Management , Vol. 41, No. 3 (2015), pp. 117-125. “The Role of REIT Preferred and Common Stock in Diversified Portfolios.” Cornell Hospitality Report , Vol. 16, No. 28 (2016), pp. 3-12. “Preferred Stocks Are a Gamble for Retirement Investors.” Wall Street Sector Selector , 2015, http://www.wallstreetsectorselector.com/investment-articles/editors-desk/2015/03/preferred-stocks-are-a-gamble-for-retirement-investors/ . “Preferred Shares Find Favor among Banks,” Wall Street Journal , 2013, http://www.wsj.com/articles/SB10001424127887324582004578458982944311840 . Introduction to Value-at-Risk , 5th ed. New York: John Wiley, 2013. Nonparametric Statistics: A Step-by-Step Approach . New York: John Wiley, 2014. “Estimating the Credit-Risk Yield Premium for Preferred Stock.” Financial Analysts Journal , Vol. 52, No. 5 (1996) , pp. 45-56. Investment Valuation , New York: John Wiley & Sons, 2012. “Preferred Stocks.” Dow Publishing Company, 2007, http://www.dows.com/Publications/Preferred_Stocks.pdf . “The Impact of Mutual Fund Family Membership on Investor Risk.” Journal of Financial and Quantitative Analysis , Vol. 42, No. 2 (2007), pp. 257-278. “A Theoretical Model for Valuing Preferred Stock.” The Journal of Finance , Vol. 38, No. 4 (1983), pp. 1133-1155. “Historical and Implied Reverse Sector Risks in the Eurozone.” European Journal of Finance and Banking Research , Vol. 5, No. 5 (2012), pp. 13-34. “Evaluation of Value-at-Risk Models Using Historical Data.” Federal Reserve Bank of New York, Economic Policy Review , Vol. 2, No. 1 (1996) , pp. 39-70. “The Power of One and Two-Sample t Statistics Given Event-Induced Variance and Non-Normal Stock Returns: A Comparative Study.” Quarterly Journal of Business and Economics , Vol. 37, No. 1 (1998), pp. 27-49. “Hoadley Black–Litterman Returns Estimator.” 2017, http://www.hoadley.net/options/develtoolsblacklitterman.htm . A Step-by-Step Guide to the Black–Litterman Model , pp. 1-32. Chicago, IL: Ibbotson & Associates, 2005. 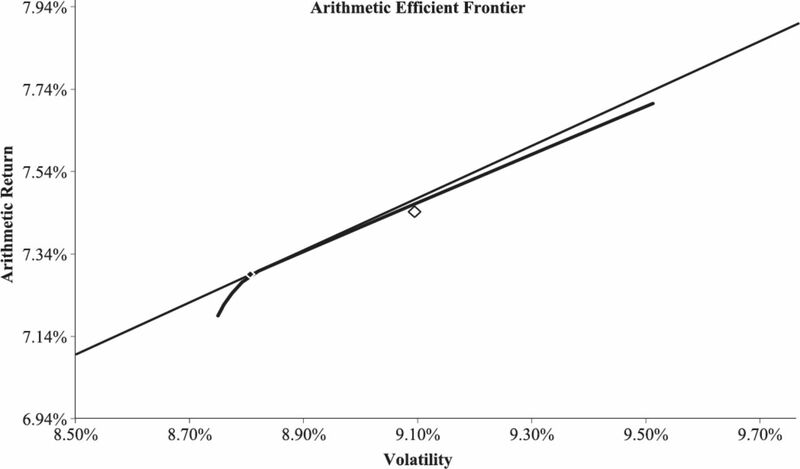 “A Step-by-Step Guide to the Black–Litterman Model: Incorporating User-Specified Confidence Levels.” In Forecasting Expected Returns in the Financial Markets Satchell S. , pp. 17-37. New York: Elsevier, 2011. 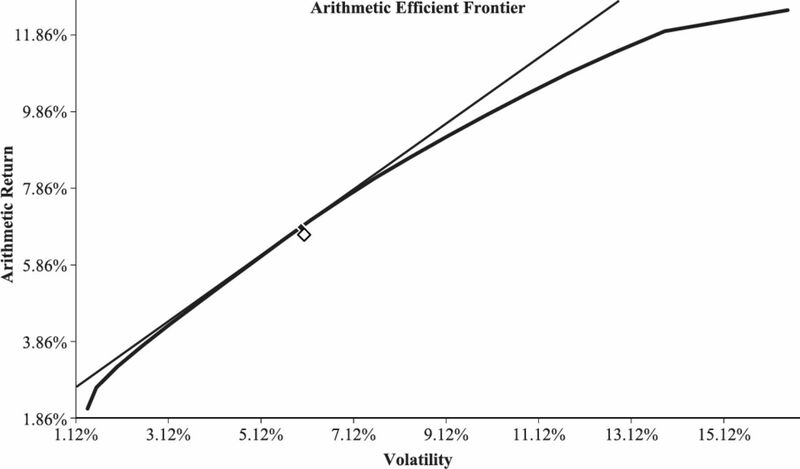 “In Search of Excellence: For Whom?” The Journal of Portfolio Management , Vol. 15, No. 1 (1989), pp. 56-60. Advanced Theory and Methodology of Tactical Asset Allocation . New York: John Wiley & Sons, 2000. “The Risks of Preferred Stock Portfolios.” Working paper, Securities Litigation & Consulting Group, 2010. “The ‘Lost Decade’: An MPT Perspective.” Managerial Finance , Vol. 41, No. 11 (2015), pp. 1202-1220. A Random Walk Down Wall Street: The Time-Tested Strategy for Successful Investing , 11th ed. New York: W.W. Norton, 2015. “Data Mining Corrections.” The Journal of Portfolio Management , Vol. 21, No. 1 (1994), pp. 60-69. The Role of Home Bias in Global Asset Allocation Decisions . Valley Forge PA: The Vanguard Group, 2012. “Capital Asset Prices: A Theory of Market Equilibrium.” The Journal of Finance , Vol. 19, No. 3 (1964), pp. 425-442. “Imputing Expected Security Returns from Portfolio Composition.” Journal of Financial and Quantitative Analysis , Vol. 9, No. 3 (1974) , pp. 463-472. ——. “Asset Allocation: Management Style and Performance Measurement.” The Journal of Portfolio Management , Vol. 18, No. 2 (1992) , pp. 7-19. “Why You Should Avoid Preferred Stocks.” Money Watch . CBS Interactive, 2012, http://www.cbsnews.com/news/why-you-should-avoid-preferred-stocks/ . Zacks Equity Research. “Preferred ETFs: Great Choice for Individual Investors?” 2014, http://www.zacks.com/stock/news/123397/preferred-stock-etfs-great-choice-for-income-investors . You are going to email the following Should Preferred Stock Funds Be Included in MutualFund Portfolios?